This week brought us a bit of a rarer grand ducal sighting as Prince Félix and Princess Claire paid a visit to the Red Cross Bazaar on Sunday. The event at the Halle Victor Hugo in the Limpertsberg district of Luxembourg City is always in for a surprise appearance of members of the family and also kicks off the bazaar season so stay tuned who else will show up in the weeks to come. More pictures at the cour. 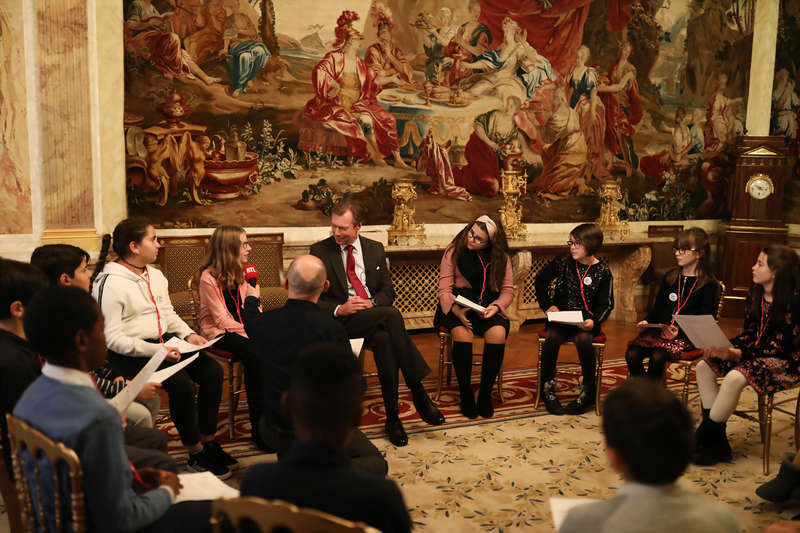 On Tuesday, Grand Duke Henri welcomed some very special guests at the palais grand-ducal. 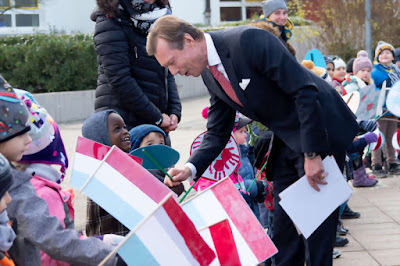 14 pupil of the class 4.1 of the Aerzendallschull Medernach got to ask the Grand Duke all kinds of question to mark the UNICEF World Children's Day. Grand Duke Henri told the kids that he drives an electric car, that he usually drives himself and that he plays both the piano and the violin but not very well. 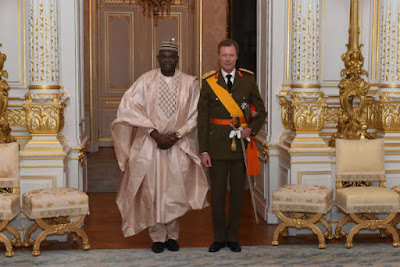 The children also got a tour of the palace by the main man himself. More visuals at the cour, RTL has a video. 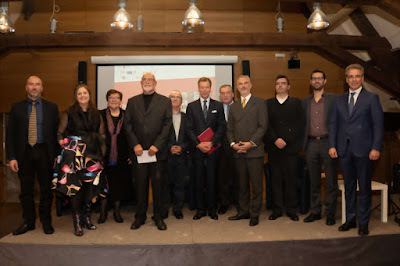 Also on Tuesday, the Grand Duke was on hand to attend the event of the week yours truly would have liked to attend herself the most: "The Many Faces of 1918", the presentation of an international anthology on the year of remembrance. The anthology brings together 17 authors from 17 countries because "in some countries it (1918) stands for defeat, the beginning of a civil war, in other countries it represents a loss, for some it equals liberation, victory, albeit perhaps a Pyrrhic victory. In some cases even different points of view may co-exist within one country". Sounds really interesting! More pics at the cour. 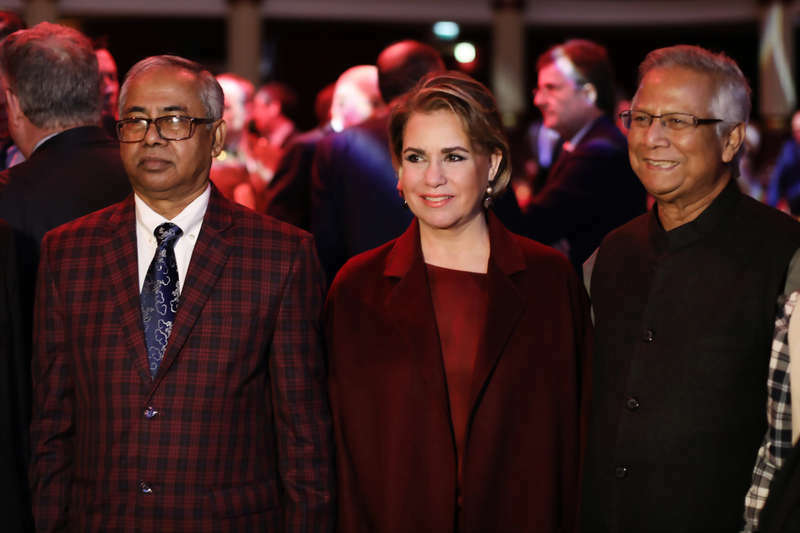 Meanwhile the Grand Duchess celebrated the 10th anniversary of the Fondation Grameen Crédit Agricole in the presence of Abdul Hai Kahn, Managing Director of Grameen Trust and Muhammad Yunus, Nobel Peace Prize Laureate. In much less adorable news, the Grand Duke also met with the new ambassadors of Nigeria, Moldovia, Portugal and Finland at the palais on Wednesday, where they all presented their letters of credence. All the pictures here. Meanwhile in Liechtenstein, there hasn't been going on much this week apart from Prince Hans-Adam II letting it be known that he doesn't have an opinion on whether the Tour de Ski, one of the most important cross country skiing events, will make a stop in Liechtenstein. Earlier in the week, FIS President Gian Franco Kasper said in an interview that the Fürst was in favour of the event. Why the fuss? There is currently a national referendum going on in the Principality on the matter and the Prince probably wants to stay impartial. More at Vaterland.